Just spotted! 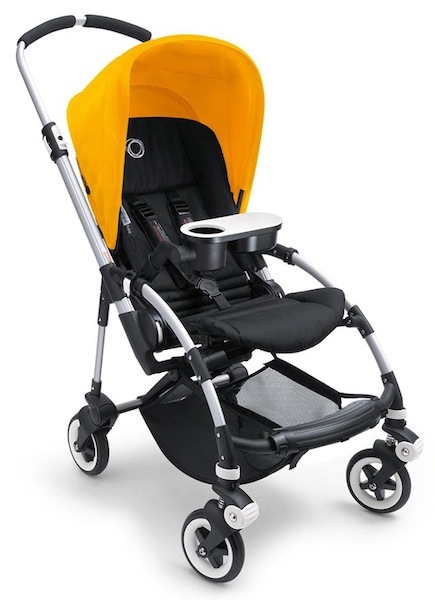 The all new, all-terrain Bugaboo Buffalo & the Bee gets a tray! Bugaboo sure are expert at dropping bombs in terms of pram news. I was just doodling about on Facebook with my morning coffee when I spotted the very latest new pram news from Bugaboo’s Amsterdam headquarters! It’s the all-new, all-terrain Bugaboo Buffalo and that’s just about all we can tell you about it right now. We have its name and the picture above so clearly it’s the go-anywhere Bugaboo pram for those who love to get outdoors and trekking with their baby. We will be sure to bring you more information about pricing, Australian availability and release timing as soon as it comes to hand. Now I’m in a right quandary as I’ve ordered my Bugaboo Bee all-black, which I have also just learned from Facebook, will now be able to take the Bugaboo tray using the new adapters! So what would you do, dear readers? Would the Bugaboo Buffalo suit your lifestyle?